Human nature is such that what is rare tends to be tantalizing. 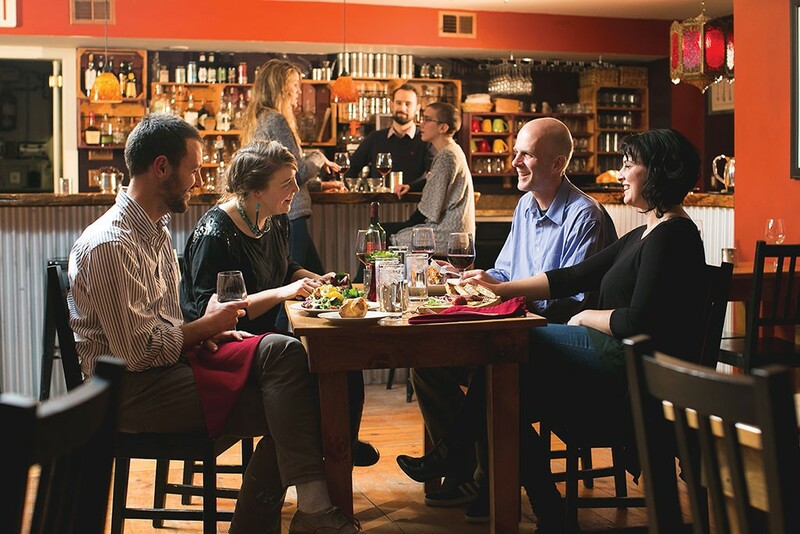 Rustic Roots in Shelburne works that psychology to its advantage. Although the intimate restaurant serves breakfast and lunch Wednesday through Sunday, it limits dinner to a brief window on Friday and Saturday evenings, between 6 and 7:30 p.m.
Those lucky enough to score a table are advised to start the evening with a Dirty Jersey Martini or the Roots Negroni, sweetly bitter with a splash of St-Germaine, a liqueur made with elderflower blossoms. While sipping, examine the art on the dining room's dark-red walls. The eatery also serves as a gallery, showcasing a different artist every two months. Last fall featured John W. Long of Newfane, who turns weathered barn boards into sculptural depictions of lighthouses, covered bridges and steeples. His work transforms the quotidian into art. Chef Mike Orfan does the same with simple, seasonal ingredients. With thoughtful twists, he elevates dishes above the ordinary without making them inaccessible. An autumnal salad mixes classic ingredients such as cranberries, orange segments and candied walnuts, but it also highlights crisp chicory and unusual caraway vinaigrette. Velvety and perfectly seasoned chicken-liver mousse, served in a mason jar, comes with apple chutney and housemade rye bread. The entrées are just as creatively balanced as the starters. 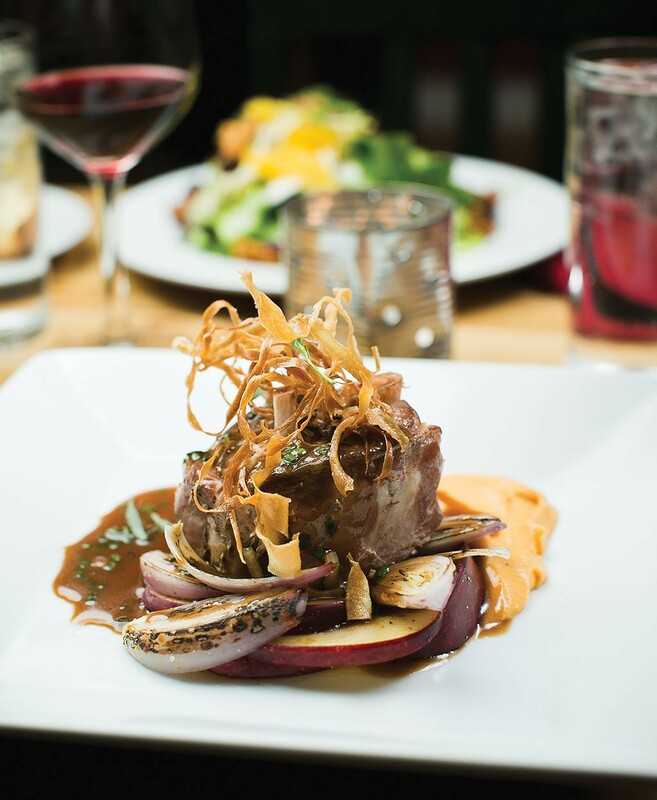 The richness of braised pork shank is cut with sweet and acidic cider gastrique, while parsnip and sweet potato deliver on earthiness. Roasted monkfish — the meatiest of all seafood — leans more savory, with briny capers and nutty browned butter. If you can't swing dinner, try breakfast or lunch. The Rustic Breakfast plate, the morning best seller, features two eggs and two meats — homemade coffee-maple sausage and Canadian ham — plus a tender, herbed popover. 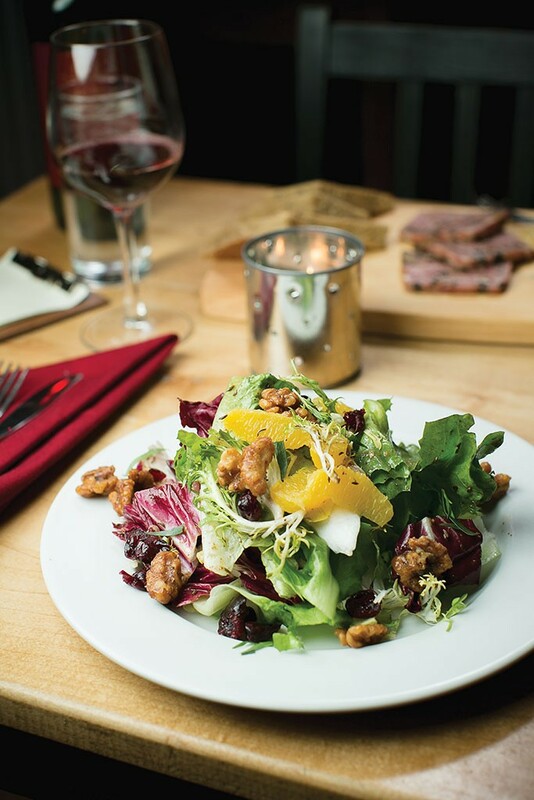 At midday, you can find some of the same dishes featured at dinner, including chicken-confit salad and pumpkin croque monsieur topped with crushed hazelnuts and melted Shelburne Farms cheddar. Whichever meal brings you there, expect Rustic Roots to stay true to its name, reinventing hearty favorites and preparing them with heart.